A Belle's Tales: Summer Vacation + Giveaway! 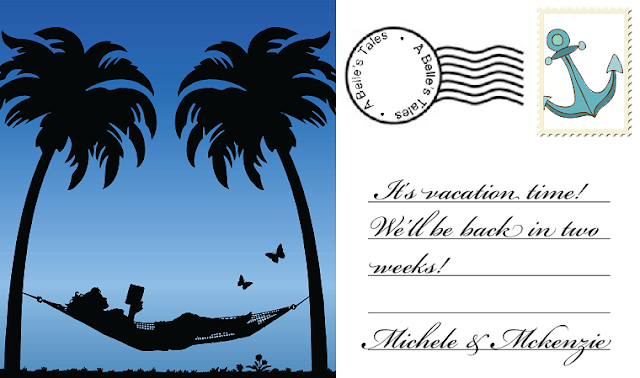 ♫ We're leaving on a jet plane, don't know when we'll be back again ♫ -- actually, we do. Two weeks. 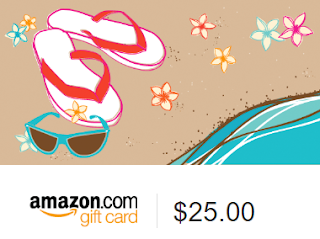 We've got our vacation reads ready to go; and to make sure you have a happy summer with plenty of reading material, we're giving away a $25 Amazon card! Fill out the Rafflecopter below for your chance to win. This giveaway is available to those who can legally enter and win/use Amazon cards. Please see Terms and Conditions on the Rafflecopter widget. We'll catch up with you in a couple weeks! Hope you're all enjoying your summer! I'm looking forward to reading Sue Grafton's latest "X". I am looking forward to finally reading Unbroken by Laura Hillenbrand. I'm looking forward to reading The Apartment by Danielle Steel. I'm looking forward to reading LEAVING BERLIN by Joseph Kanon. Tenth Grave by Darynda Jones. I love that series!! The Raven King. I love this series and listened to it on audio last year. I'm looking forward to The Girl of Fire and Thorns. It's next on my tbr! My Lady Jane, This Savage song and Allegiance of Honor. Thank you for the giveaway! Love you two oodles and gobs! I am looking forward to alllll the books and things... but mostly Cursed Child because curiosity has gotten the best of me. I'm looking forward to reading BETRAYAL by Tim Tigner. Book #4 of the Outlander series. i am looking forward to reading the latest Debbie Macomber book in my favorite series. I'm looking forward to reading more romance novels this summer. Just a few upcoming summer releases I'm excited about: Sherrilyn Kenyon's Dragonmark, T. M. Frazier's Rage, J. R. Ward's Angels' Share, Sarah Castille's Chaos Bound, and C. L. Wilson's The Sea King. I am trying to find a perfect, creepy scary horror to read for the summer. That would be ideal! Any suggestions? !